Kundalini Yoga, the Yoga of Awareness, was brought to the West by Yogi Bhajan in 1968. Through the practice of Kundalini Yoga and Meditation your glandular and nervous systems are stimulated into balance, and your capacity for creativity and connection is heightened. You gain inner vitality to compensate for the adverse effects of stress so you can excel in life. Kundalini Yoga is practiced to give you an experience of your own infinity. Through Kundalini Yoga and Meditation you begin to harness the universal energy, prana, in order to direct the mind towards the reality of the soul. Kundalini Yoga utilizes the complete methodology and technology of yoga and meditation to penetrate the psyche and awaken the consciousness – breath, posture, gong, music, dance, mantra, meditation, humor and profound wisdom. 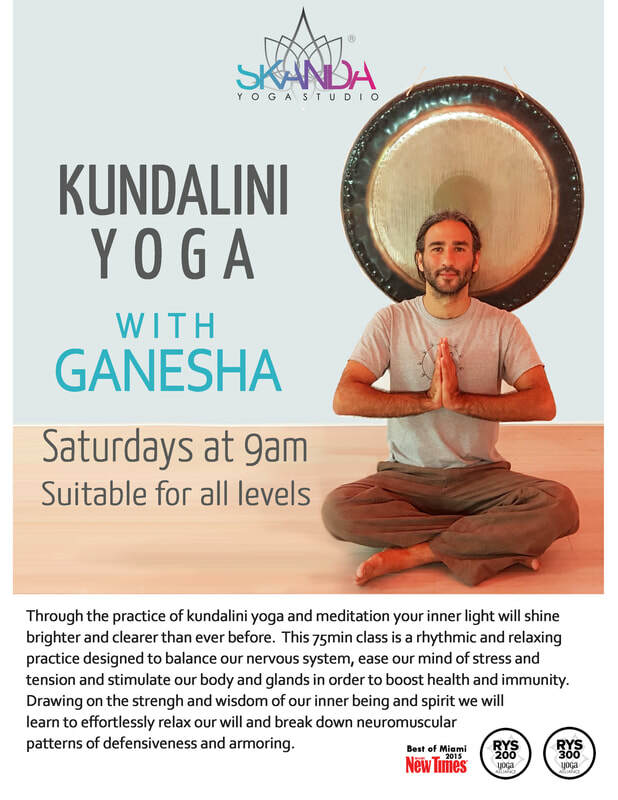 Ganesha Michael Shapiro is a Certified Kundalini Yoga Instructor and a full-time energy healing practitioner. Ganesha graduated from the Barbara Brennan School of Healing in 2008 and completed Harmonyum Healing Training with Gurunam in 2009. His classes are a unique experience combining yoga, numerology, healing, meditation, breathwork, live music and more. His passion is for uncovering Truth within the archetypal and symbolic realms. This practice opens up the pathways for receiving spiritual guidance, healing and transformation. Every class and healing treatment is unique and intuitively guided. 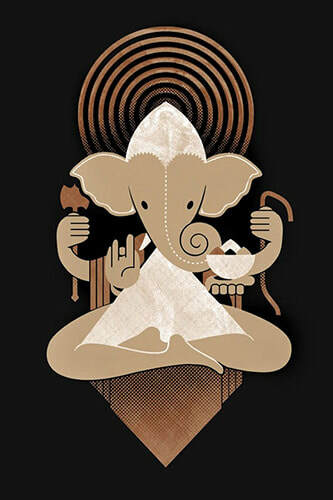 A single session with Ganesha will empower you to release physical trauma, heal your heart and align your destiny!